I love to travel and recently have been lucky enough to indulge this passion quite a bit. For Kiwis just getting out of our country is a bit of a haul, but well worth the effort. Two years ago I, along with my husband, visited Rarotonga, Cook Islands, for the wedding of our close friends’ son. Nearly forty of us made the trip and we rented houses in Muri. We shared a house with six others, including the groom’s parents so our house became the party house. Barbecues were a regular feature, for the groom and his mates, for the wedding party, and for an after wedding function. We had a lot of fun. I learnt to ride a motor scooter. Actually, that’s not strictly true. I rode one but my parking skills were horrendous and the gardens suffered greatly. Hibiscus bushes don’t look quite so attractive with a scooter and me slammed into the middle of them. Quite a few Kiwis go to this fabulous island for their wedding, which, as a romance writer had my head tossing up stories non stop. One night, at a restaurant, my girlfriend asked every young woman in the dining there what her name was because I was looking to name my heroine. We loved Rarotonga so much we visited again a year later, taking our adult family with us. On this trip I visited the hospital and various other locations for my story, and finally Every Boy’s Dream Dad was written. I loved writing this book. The words flew off my fingertips. The wedding at the end of the book has many elements of the wedding we attended. And there’s no going past the magical setting. So who knows where my next story will be set, but one thing’s for sure, I’ll enjoy the research. Do you like to travel? Where’s your dream destination? 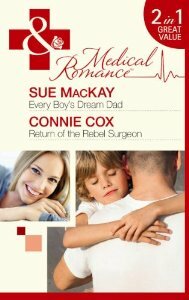 I have a copy of Every Boy’s Dream Dad to give away to someone with a great place to visit. Hi Kate and Sue. Like you, Sue, I live in NZ, south of you though. Since I was a young girl I have wanted to visit London. One day I will get there. Sometimes, believe it or not,I get "homesick" for it. All the old,old buildings and history. One other place I would love to visit is Cuba. I have visited Singapore twice (first time, was shown around and given red roses by a local named Philip...), been to Australia a few times- loved Adelaide. On the homefront,I have been to the 3 main islands of New Zealand. The south of the South Island is the prettiest, and Stewart Island, gorgeous. The best thing after reading that anyone can do is travel. It makes you proud of where you are from, yet makes you realise you are part of something bigger than your hometown. I've lived mostly in the countryside all my life. I'd love to dive right into the maelstrom that is New York City. Just for a week or so would be ideal. I love to travel sadly I have not travelled outside my country,but my dream destination is Italy from pictures and stories I know that they have the most gorgeous art,stunning cars,incredible food and stunning fashion and fasinating history so yes I would adore to travel to Italy! Thank you for the stunning give away ! You've been getting away a bit lately and scratching your itchy feet! I've always had itchy feet too and we've recently been travelling in Outback Australia - can't wait to go again! Sounds divine, Susan! Weddings are tough enough, so I am always amazed when people pack up and go to exotic places to get married. There are so many places I'd love to visit. Next year we're off to Italy, paris and london. One of those big birthdays coming up and my husband asked which city I'd like to celebrate in. Silly boy - he forgot Paris is the city of romance, didn't he? Yes, Mary, New York would be so exciting. On my list, but it's a big list. And NZ is so far away. Desere, everyone I know who has been to Italy says it is amazing. So much so that we decided to go after Paris. I'm getting excited already and it's forever before we go. Ah, Sharon, outback Australia is one of those places I've read so much about and would love to see but never quite get there. Silly when it is on my doorstep. I know you had a fab trip and I'm sure you've got loads of great photos and memories to fill in time before your next wandering. Lynne, I know what you mean. But it all seemed to work out so easily for our friends. A good wedding planner helped I think. but such a lovely place to have a wedding - and it seemed to go on for the whole week we were all there. Barbecues, dinners, pool parties. Great. Eli, isn't it fun travelling and meeting new people. I especially love trying the food, being a bit of a foodie. Don'tknow what my hisband will do in Italy as he doesn't like pasta at all. 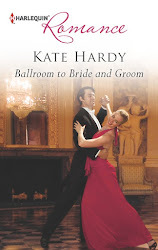 Kate, thank you for having me here on your magic "50th". Absolutely amazing to reach such a total. I think you're wonderful and love your stories. 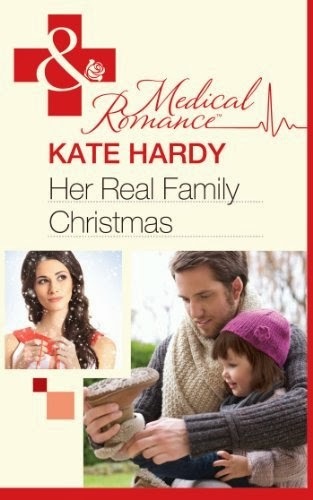 The first medical I ever read was by Kate Hardy, and I was hooked for life. So much so I joined you. There's a long way to go before that big number though. Have a great celebration. You deserve it. I like to travel. I'd like to travel to Australia. Hi Sue, I hope you'll have a little time, in what sounds like a busy schedule, for us to welcome you to London next year! (Maybe supply you with a couple of umbrellas for the duration...) Although I may be on my way to New Zealand - my nephew has moved there from Australia - so perhaps we'll just be waving to each other as our planes cross in the sky. Hi Annie, would love to see you - in the air or on the ground. Haven't a clue what we're doing yet which makes the trip all the more exciting. bn100, Australia is awesome. So is NZ and we're only next door. First name drawn from the hat for ‘Every Boy’s Dream Dad’ – Mia. Please contact me kate(dot)hardy(at)btinternet(dot)com with your details, and I'll get everything sorted :o) Thanks for taking part!